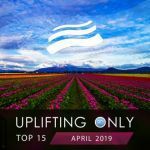 Here is the June 2018 edition of the monthly Uplifting Only Top 15 compilation! Once again Ori has personally hand-picked 15 of the very best tracks from recent episodes of his Uplifting Only radioshow/podcast, and here they are! 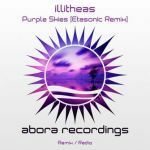 This edition of the monthly compilation features music from New World, Manuel Rocca, Playme, DreamLife, Alternate High, Tycoos, Sandro Mireno, Phil Dinner, Aldo Henrycho, Fisical Project, tranzLift, Giovannie De Sadeleer, R3dub, AirLab7, Ricardo Barcinski, Luca de Maas, Martin Libsen, Rought Cash, and more!